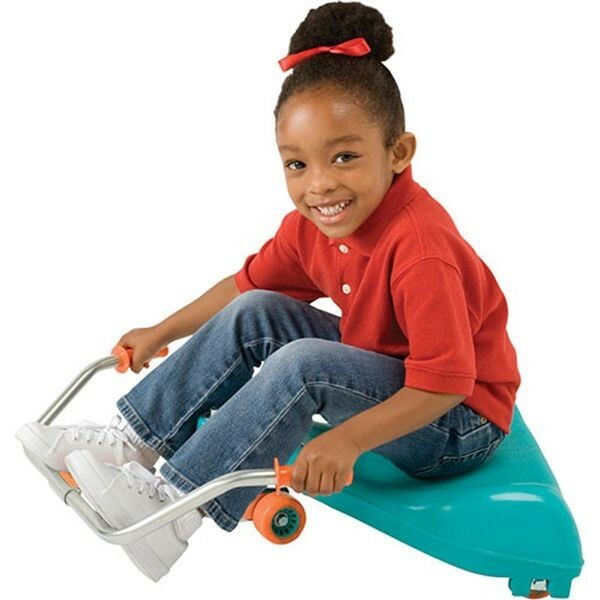 Fun and fast, the Original Flying Turtle Scooter is a kid-powered seated scooter that provides hours of indoor/outdoor play for children aged 3 to 12 years old. 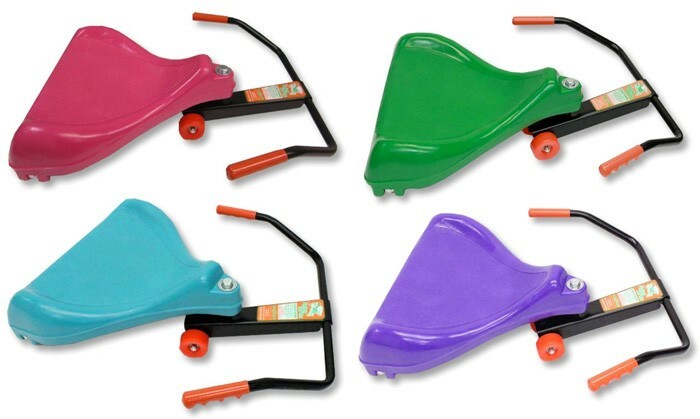 This award-winning toy's unique method of propulsion has made it the subject of studies in experimental nonlinear physics, but we like it for the good times it provides. 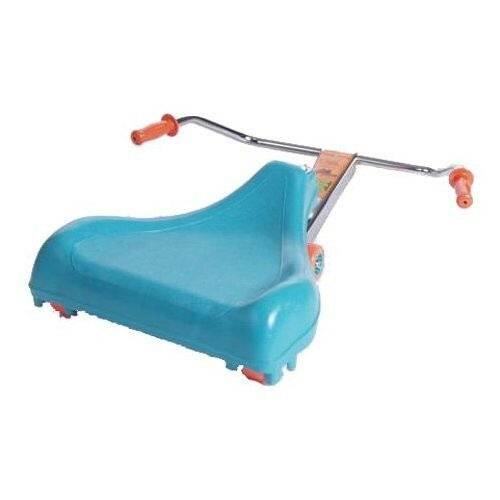 Simply sit on the molded seat, put your feet on the chrome handle bars, and swing the handlebars side to side to propel yourself forward on level surfaces.